As any battle royale fan will tell you, nothing ruins a good match like some knob with illegal cheating hacks running rampant on the field. PUBG’s issues with cheating were common enough to make headline news, and Epic Games is determined not to let the same happen with Fortnite. Two YouTubers decided they were invincible enough to not only post videos of their Fortnite hacks in action, but sell said hacks to others for profit. Brandon Lucas, who operates the “Golden Modz” YouTube channel, has over a million subscribers — and now a pending lawsuit from Epic. Another less popular YouTube named Colton Conter was also named in the suit. Lucas would later whine in a new video that Epic was targeting him for cheating when plenty of other people were doing the same thing. Of course, not every hacker is naive or stupid enough to broadcast their deeds on a worldwide network for everyone to see. And when you’re personally responsible for giving some of those cheaters their tools, AND profiting from it….uh, what’d you expect would happen, dude? 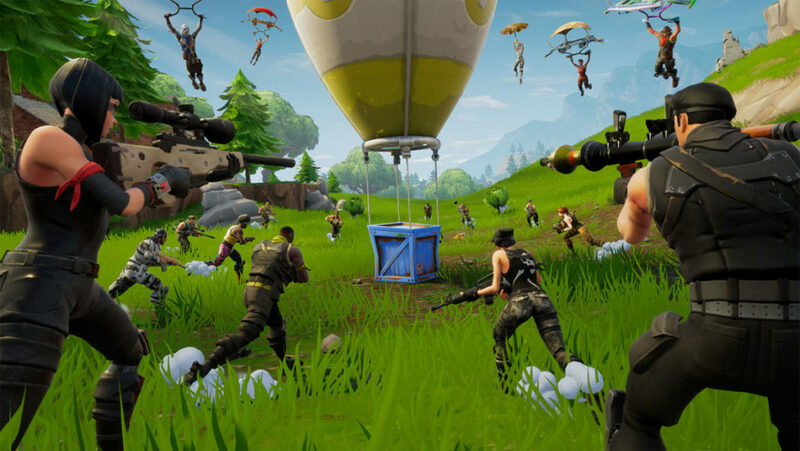 Epic has requested a judge strike down Lucas and Conter’s videos and website, and that their hacking programs be turned over to the company.